A while back, a client of mine developed a raging case of heartburn after learning a new hire didn’t have the writing skills the client thought he did. The employee excelled in other areas, but no Billy Shakespeare was he. Despite having requested writing samples during the interview process, the organization realized it misjudged the person’s ability to write – a core function of the position. 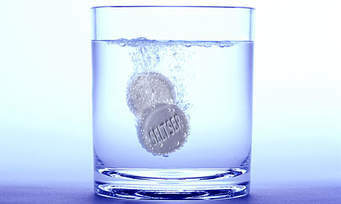 For a while my client downed Alka Seltzer like Pez – until he moved the person into a more fitting role in the organization and was able to backfill the position with a stronger writer. 1. Step Up Your Game on Writing Samples – Instead of asking candidates for a basic writing sample during the interview process, consider tailoring the sample to provide you with more information. If you need someone who can write pithy pieces, ask for an op-ed. If you need someone who can write with an academic tone, ask for a white paper. If you need someone who can speak to donors, ask for a direct mail letter or a grant proposal. You can also consider asking candidates to write something new specifically for the job application. For instance, one client recently changed its generic writing sample requirement to this: “an original op-ed on the current debate over President Obama’s health care law.” That small change helped the client evaluate candidates on a level playing field. 2. Consider Giving Candidates a Writing Test – Several clients of mine are considering giving writing tests to candidates. However, they aren’t sure where to begin. I think it sounds like a brilliant idea; but, sadly, I’m ill-informed in this arena. Thus, I turn to my sagacious readers: do you have experience utilizing writing tests? If so,drop me a line. I would value your advice on test types, vendors, results, and limitations. Now, I like to think I’m mildly amusing; but this candidate is Amy Schumer-hilarious.My furry friends, if you are asked to send along two samples, send along two samples. ‘Nuff said.